Purim is here. Purim is a very important holiday in Israel. It is a holiday in which children and adults dress up with funny costumes and rejoice over the victory that God gave the Jews of ancient Persia (today Persia is called Iran). We have a whole book in the Bible that tells the story of Purim. In the West, they remember the story as the story of Queen Esther. The book of Esther almost did not make it into the biblical canon. The name of God is not mentioned in any form in the whole book of Esther. The moral standards in the book are not of the highest standards. Mordechai, Esther’s uncle, instructs Esther to hide her identity as a Jewish girl. He sends her to be one of the concubines of the Persian king and live in the harem of the king’s palace. Of course, in the king’s palace the food was not kosher, and since she was hiding her true identity, she could not keep any of the biblical demands of the Jewish community. In the New Testament, the biblical holidays are mentioned, except for Purim. Not one quotation of the book of Esther exists there. The same is true in the vast library of Qumran. Fragments of every book of the Hebrew Bible are found in Qumran and around the Dead Sea, but not one fragment from the book of Esther was found. After the destruction of the Temple in Jerusalem in 70 A.D., the Jewish rabbis fought hard to keep the book of Esther as one of the books of the Bible. The classical formula for the biblical holidays is applicable also to the book of Esther: The Gentiles hate us. They want to kill us! God gives us deliverance, we have victory over those who hate us, now let’s go eat! Purim is no exception to this formula! Haman, the second to the king of Persia, plotted to eliminate all the Jews from the vast Persian empire. At that time, King Artaxerxes (“Hashverosh” in Hebrew) ruled over 128 countries, that stretched from Turkey of today all the way to the central southeast Asia. Countries of today like Azerbaijan, Georgia, Armenia, and Kazakhstan still speak languages that are related to ancient Parsi. Evil Haman was a descendent of Hagag the Amalekite (the king that King Saul spared and did not kill, until Samuel the prophet came and cut his head off). The ancient conflict between Israel and the Amalekites/Persian Haman in this case was Haman’s plotting to kill all the Jews in the Persian empire. Although God is no overtly mentioned in the book of Esther – the hand of God (divine providence) is clearly seen. Mordechai the Jew and Esther the beloved Queen of king of Persia Artaxerxes managed to not only reverse the evil edict that Haman signed (the edict that gave permission to the Persian empire to kill and get rid of all the Jews). Esther, with the help of her uncle Mordechai and with the king manages to reverse this evil plot and save the Jews of Persia, and get permission to kill 500 Persians in Sussa, the capital of Persia, and celebrate their deliverance and victory over their enemies. The dressing up during Purim is really an overlap from the carnival season in Europe that falls around the same season. In Europe, the Catholic church gave permission to the pagans to release the flesh to all of its forbidden pleasures and practices for three days before lent, so that they could keep lent (not eating meat for the month before the Passover). The Jews in Europe had Purim at around the same season, and they “borrowed” this practice. So now the big thing about Purim is to dress up with masks, and for the Orthodox Jewish adults to get drunk. However, the tradition is to read the whole book of Esther in public, and when the name of Haman is mentioned, to protest with noisemakers of all kinds. We can see that kind of osmosis developing in our day with the American Jews during Christmas and Hanukkah. Suddenly the American Jews have invented a practice in Hanukkah that is called a Hanukkah bush, that by any other name it would be called a Christmas tree. In our congregation, we have adopted the Purim festival with all the traditional “holiday” trappings, like eating “Haman’s ears”, making noise when his name is mentioned in the reading, and having a masquerade party. Although it is a mild form of what goes on in Orthodox Jewish synagogues, it is very much an occasion for joy and celebration of the victory that God gave the Jews of Persia over those who wanted to annihilate them. As the general election is fast approaching us like a stampede, I again ask you to pray for God’s mercy to be upon Israel. I realize that the Lord gives us the kind of leadership that we deserve, but in this upcoming election that will be held on April 9th, 2019, the need for divine intervention is absolutely necessary and important. This is because of lies, deception, hate, and greed from almost all the political powers, whose main motivation is to stay in power at all cost. To save their skin, some of the politicians are willing to sacrifice the good of the whole country, even the security of this nation, for their greed for power. When you read the prophets of Israel in the Bible, you see that this is one of the most popular reasons that God punishes Israel. He gives them leaders who increase the selfishness and decrease the moral standard of the people. 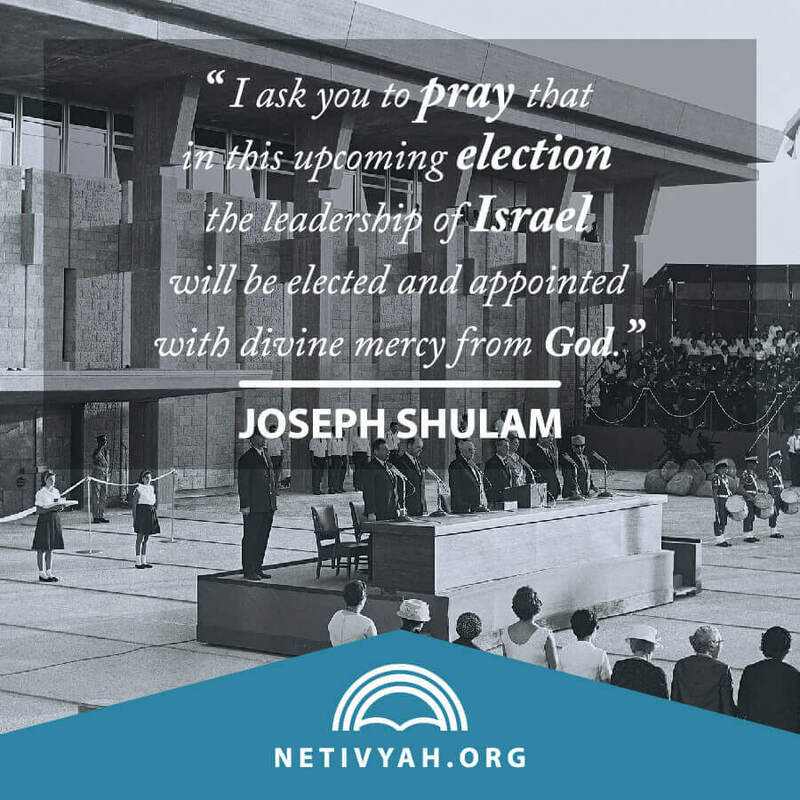 I pray and ask you to pray that in this upcoming election the leadership of Israel will be elected and appointed with divine mercy from God. This nation faces formidable enemies from our neighbors from far and near, and we don’t need division and hatemongering right now. We don’t need any internal hate and accusations. Israel needs to be unified against our neighbors who seek, like evil Haman in the book of Esther, to destroy us and kill us. Please pray for our brothers and sisters in Brazil. There is so many great things happening in Brazil, but there are also some challenges that our brothers face. 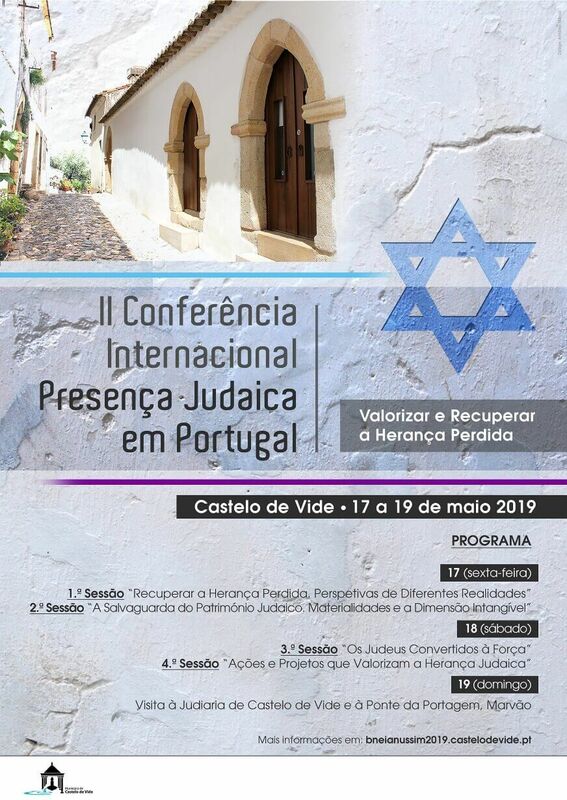 We are so happy to return home to Jerusalem after the long trip to Brazil. We are also happy to be a part of such a wonderful group of brothers and sisters who are so wonderfully dedicated to the Lord and to the restoration of the biblical faith and life as disciples of Yeshua.We have a very dear family living in Sweden that are faithful prayer partners for Israel and for Netivyah. The Lucca family. Their son Marcus is seriously ill and I ask you to pray for Marcus Lucca, and for his mother Tertu and his father Tapio who are both dealing with serious health issues. I am adding two very important prayer requests: Amir the son of Amira – you have been praying for him. He is 30 years old, a father with a family and three children. Thank you for praying for Amir – he has succumbed to the cancer and is no longer with us here on the earth. His family appreciates your prayer for Amir and blesses all who called upon the Lord for Amir’s healing. May the name of the Lord be blessed and glorified forever. Please keep praying for the grandmother of Amir, Um Abu-Eid – she is a dear old Arab/Palestinian. There is a dear brother and Pastor Isaac in Chenai, India, who has a deep love for the Lord and for Israel. He is sick with kidney problems and needs a dialysis treatment several times per week. Please pray for a medical miracle for Pastor Isaac and pray for his ministry in the Kingdom of God. Please pray Ritva Huhtala and for sister Oksanen. They need prayer for illness. I wish all of you, who stand with Israel and who pray for Jerusalem, the best of the Lord’s blessings and the fulfillment of all of His promises to His faithful children.